OVER 50 LARGE DETAILED PHOTOS OF THIS AUDI A5 BELOW MY DESCRIPTION. PLEASE LOOK AT EVERY SINGLE PHOTO I POSTED BELOW. PHOTOS OF EXTERIOR, INTERIOR, UNDERCARRIAGE & ENGINE BAY. PLEASE GIVE THE LISTING A MINUTE TO LOAD. 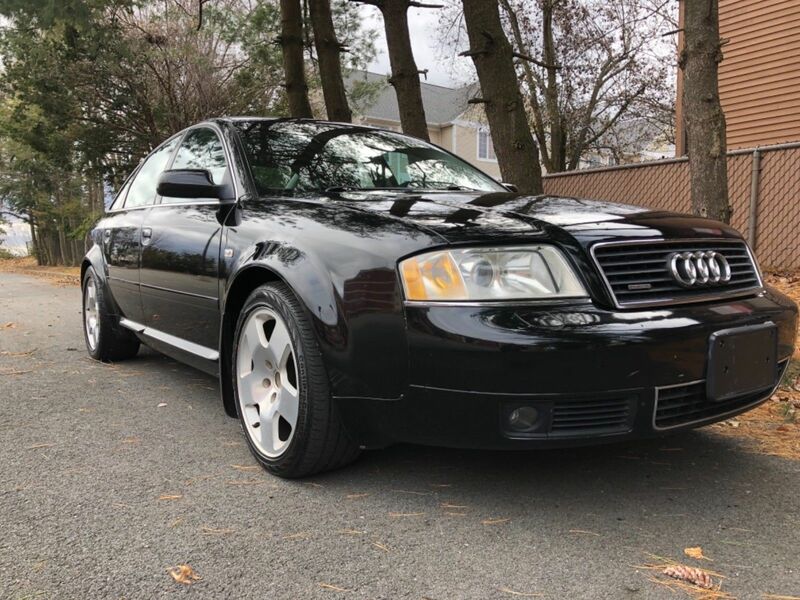 I BOUGHT THIS A6 A FEW DAYS AGO FROM A DEALER ONLY CAR AUCTION. 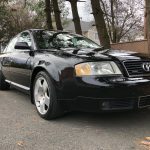 I COULDN’T RESIST BUYING THIS GREAT LOOKING AUDI A6 BECAUSE THESE A6 ARE TILL THIS ONE OF THE BEST LOOKING AUDI BUILT & EVERYONE LOOKS AT THEM AS THEY ARE EYE CANDY. 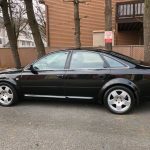 THE ICING ON THE CAKE IS THIS AUDI A6 ONLY HAS 89,000 MILES, IS THE 4.2L WITH THE 8 CYLINDER ENGINE. THIS ISN’T ANY OLD AUDI A6….. IF YOU LOOK CLOSELY WILL SEE THE FENDER ARE WIDER THAN THE TYPICAL AUDI A6 TO COVER THE WIDE WHEEL & TIRES. THIS CAR CAME THIS WAY FROM FACTORY. ONLY 89,000 MILES. WHICH IS LOW CONSIDERING ITS 15 YEARS OLD CAR AND ON AVERAGE THE AVERAGE CAR IS DRIVEN 12,000 – 15,000 PER YEAR. MAKING 89,000 MILES LOW MILES FOR THIS AUDI. ON AVERAGE A 15 YEAR OLD CAR HAS 160,000-170,000 MILES. I KNOW BUYING UNSEEN & TOUCHED ISN’T EASY BUT I HAVE INCLUDED MANY DETAILED PHOTOS TO SHOW YOU DETAILS & MAKE YOU FEEL AS IF YOU WERE NEXT TO HER. IF YOU NEED ANY MORE PHOTOS FEW FREE TO REACH OUT TO US FOR MORE PHOTOS. MOST SELLERS WILL NOT SHOW DETAILS PHOTOS SIMPLY BECAUSE THEY WANT TO HIDE THINGS BUT NOT HERE. HERE I DO MY BEST TO COVER ALL AREAS. UNLIKE MOST OF THE NICE AUDI A6 ON THE MARKET THAT HAVE SKY HIGH ASKING PRICES. NOT THIS ONE! HIGHEST BID WINS THIS NO RESERVE AUCTION! 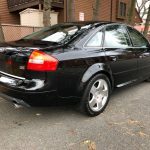 GIVING ANYONE THE OPPORTUNITY TO BUY A AUDI A6 AT A FAIR PRICE. ** THE TRANSMISSION SHIFTS THROUGH ALL GEARS FINE BUT I NOTICED THAT YOU COME TO A STOP FOR EXAMPLE A STOP SIGN OR A RED LIGHT THE CAR DOWN SHIFTS UNUSUAL BECAUSE YOU ACTUALLY FEEL A JERK. I KIND OF GOT USE TO IT AFTER DRIVING IT FOR A FEW DAYS BUT THE TRANSMISSION WILL PROBABLY NEED SOME SERVICE. I HAVE FELT NO SLIPPING AND NO HARD SHIFTING WHEN UP SHIFTING. ** AMAZING CAR BUT WILL NEED SOME LOVE. 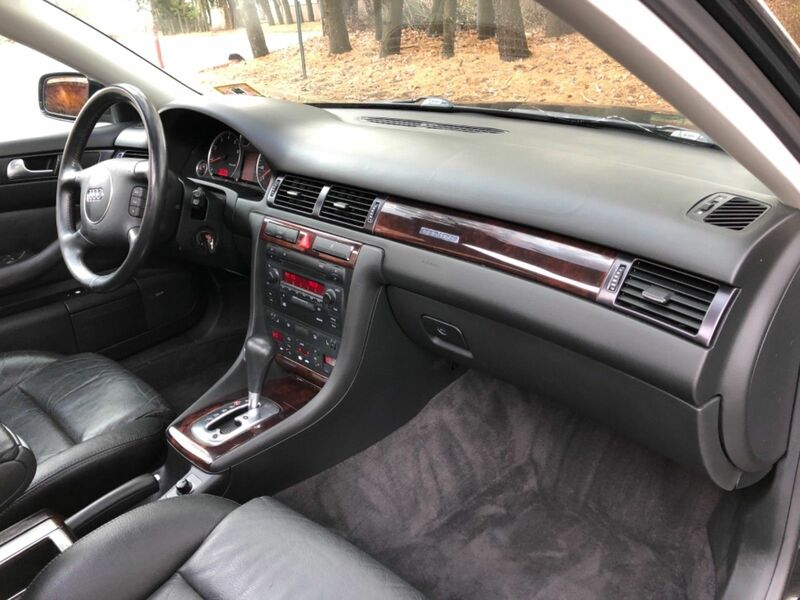 For 2000, the A6 lineup was bolstered by the addition of the 2.7T and 4.2 models. While both were sedan-only, both were also serious upgrades from the 2.8. The 2.7T was the same motor seen in the S4, and as such cranked out 250 horsepower and 258 lb.ft of torque. It could also be mated to a 6-speed manual transmission. The top tier was reserved for the heavily revised 4.2 though. In fact, in order to squeeze the V8 into the C5, there were so many changes it might as well have been a different car. The body was stretched 1.4 inches in front. The track was widened both front and rear, and beefy flares covered the 235-50/16 standard wheels, with 17″ 255-40 series tires optional. The fuel tank increased to nearly 22 gallons to feed the new 300 horsepower 4.2 liter V8 under the Now aluminum hood. The Sport Package also gave you sport seats and the lower/stiffer 1BE sport suspension, too (in addition to the 17″ wheels). 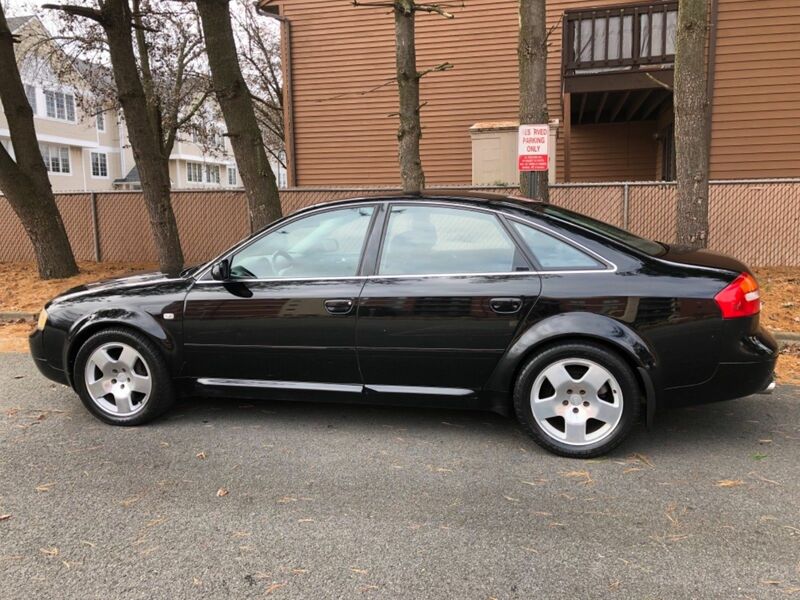 While the C5 later added the even more desirable S6 Avant and twin-turbocharged RS6 sedan, for me there’s always been a bit more appeal to a clean 4.2 sedan. They’re stealthy and great-looking, and generally quite affordable to get into – though they’re not without fault. Finding a clean example can be particularly tough. This particular Brilliant Black checked a few boxes right away. 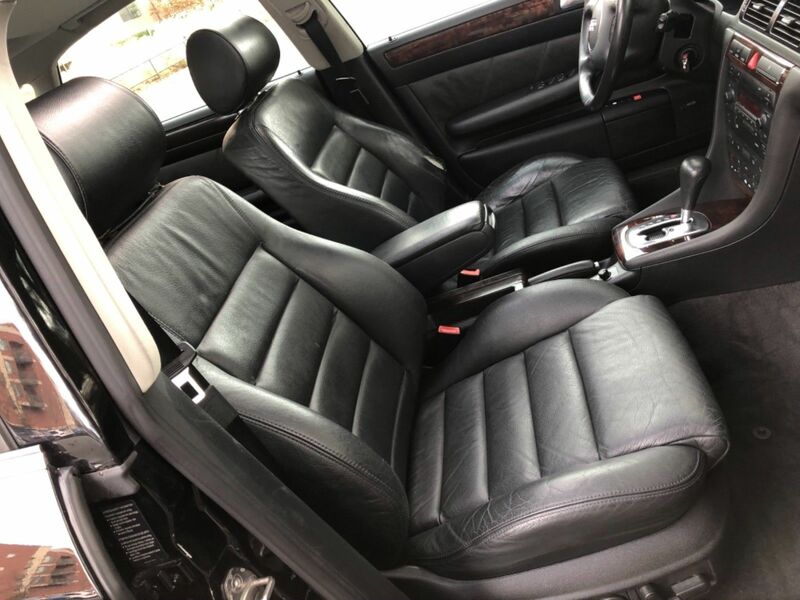 It looked clean at first glance, it’s got the forged Fat Five sport wheels and accompanying Sport Package, replete with the seats, and the mileage is lower. It’s also a no reserve auction. But it’s not all roses. First, there are no records, and at 90,000 miles, you better be prepared to do the timing belt. Second concern on these cars, as with all auto Audis of this generation, is the transmission – and this one sounds like it may be starting its death throes. The hard downshift is likely a solenoid issue, but “if you’re there” means you’ll quickly be looking for an entire rebuilt transmission or sourcing a 6-speed manual swap. Clicking through the photos also revealed some wear issues which you’d expect – a missing center cap, a broken headlight seal – and some you wouldn’t. For example, the seller claims “CLEARLY IT WAS LOVED BY HER PREVIOUS OWNER”. I have reservations. First, the car has – or, more properly had – a set of factory mudflaps. Unfortunately, only two remain, and they’re mis-matched. The front one also appears to be falling off. The steering wheel has a crazy amount of wear but only on one side. The headlight switch – which, I’ll note has an auto function – looks like it was attacked by hungry squirrels. Then there are the tires. This is the first time I’ve seen five different tires on a car like this. It’s something you come to expect from a $500 Craigslist find, but a “clean” A6 4.2? The front passenger tire is a Continental Contipro Contact, passenger rear is a Bridgestone Potenza, driver rear is a Dunlop Sport D40 M2, and the driver front is a Kuhmo Ecsta. For good measure, the spare is a Riken Raptor. None of them look especially fresh and the Dunlop has alarming cracking that seriously makes me wonder how the car passed inspection. Speaking of, the dash is ablaze with the headlight leveling system and the windshield is cracked. I do give the dealer credit for showing all this, but wow. Now, add up those repair bills and you’ll quickly see how upside down you’ll be in this car. By my count, figuring you pay someone, you’d have roughly $9,000 in repairs on deck – assuming there is nothing else wrong, such as the failure-prone ABS system, brakes, or any engine running conditions. And at that point we also have touched upon other issues – electrical, for example, or the issue with the heater core. Frankly, it makes the no reserve auction necessary. Bids so far are up to $3,500. Factor in the repair bills and youâ€™re quickly into RS6 money. Either the people throwing bids up there aren’t looking at the same car I am, or they’re not looking close enough. 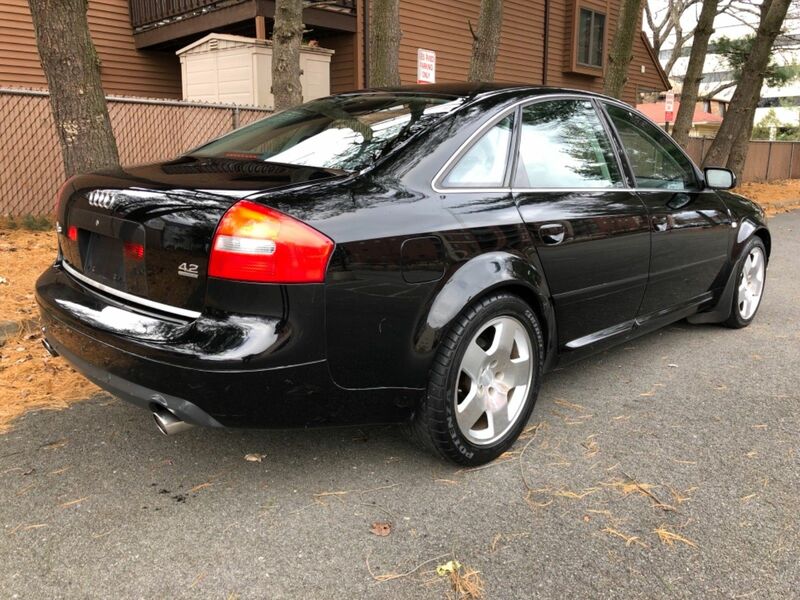 I looked at a very nice lower mileage example on better shape last year full of records including the timing belt, and its ask was only double the current bid. This one looks pretty from a distance, but if you’re smart you’ll keep it that way. Tagged 2003, 4.2, A6, brilliant black, C5, Fat Fives, forged, Quattro, Sport Package BMW, Widebody. Although this one looks shiny in its colors and may have its issues which you have keenly identified, it does tug at my heart strings. Like you, I have a fascination with the C5 4.2. It may come from my love of the D2? To me it is a closer relation to the V8 Quattro than the A8. I have never driven one, but it has always been one I have appreciated from afar. Excellent write up Carter. This car is the definition of “good from afar, far from good.” Very photogenic, if I had to fish for a complement. This car is trashed, I wouldnâ€™t touch it with a 10 foot pole. This car sold at the Metro Skyline Auction two weeks ago for $1700 plus fees. It is a total turd with THREE accidents on the carfax. Run Forest run. Each accident took out one tire. When I saw the dealer bought this car at a dealer auction, I right away checked MMR (Manheim Market Report) and that’s where it was. His crazy profit margin goes with the annoying SCREAMING IN HIS AD, it’s totally over the top. On a good day, this is a $2.000 to $2.500 car. After a transmission rebuild, new tires and all the other things incl. cosmetic repairs, the total money spent will be about $10.000.–. As the saying goes, buy the BEST car you can afford, this is definitely not it. Run, and run fast. There is a go kart on BAT now from the 1960s that I’d sooner buy for my son over this turd.